Commercial units for car sales facility. Outline application for commercial units. Commercial unit for automotive car valet. Conversion of redundant outbuilding, to self-contained 3-bedroom detached dwelling, including landscape and access. First floor extension above garage. Planning permission for three new dwellings. Demolition of existing dwelling. Prior approval for change of use of redundant outbuilding to single residential dwelling. First floor and two storey extension, change of use of upper floor of existing public house to create 9 bed and breakfast rooms. Conversion of existing stone building to residential dwelling with off street parking; Single storey extension, May Road. Extension to two storey detached house. Former coach house / stable building converted into a dwelling early 1990. Listed building consent to relocate utility to garden room at rear of main property; develop openings at ground floor level of north elevation; remove internal kitchen and erection of single storey rear extension to western end, High Street. Demolition of existing workshop to erect detached two bedroom bungalow with off street parking. Loft conversion of roof and creation of first floor ancillary accommodation inside detached garage. Demolition of rear conservatory and erection of two storey rear extension and glazed lobby to side, Newport Road. 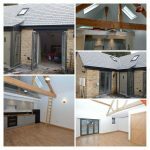 Single storey orangery with roof lantern and internal alterations to kitchen; Part three storey, part two storey extension and single storey garage to west elevation, Church Road. 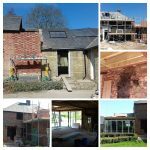 Single storey side extensions, single storey front extension, first floor extension and internal alterations, Buckingham Road. 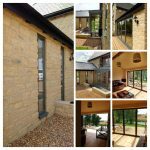 Single storey rear extension to stone cottage, High Street. Part single storey and part two storey rear extension, single storey side extension to include garage. Conversion of existing double garage. 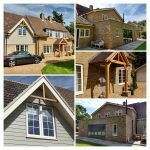 Single storey rear extension, two storey side extension and front porch, Hall Close. 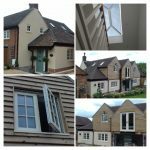 Part two storey, part single storey rear and side extensions to Victorian cottage. Two storey rear extension to Georgian style house, High Street. 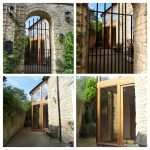 Listed building consent for single storey extension to converted stone barn. Front and side extensions, loft conversion with dormer and roof lights. Part two storey and part single storey rear extension, East Chapel. Two storey rear extension to replace existing conservatory, front entrance porch and internal alterations, The Pyghtle.